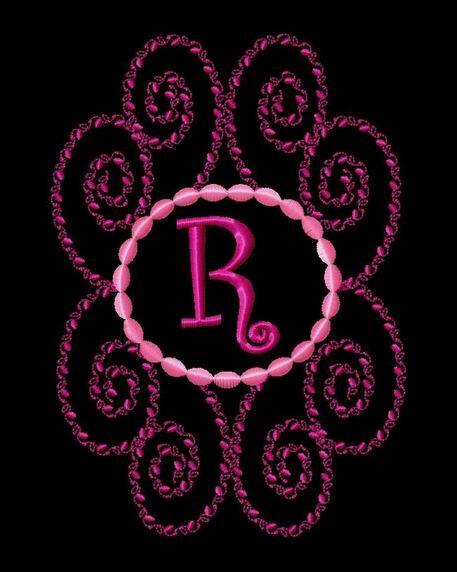 Decorative Frame 1 - $4.99 : Fancy Fonts Embroidery, Home of the ORIGINAL Trendy Dots Font! Decorative Frame 1 - 2 sizes for the 5x7 & Jumbo hoop. Perfect for framing monograms and names! 5x7 ~ 4.87" x 6.90"
Jumbo ~ 5.48" x 7.77"
Here is an example of how this frame would look surrounding a monogram letter. In this sample, we used our Curlz Font.